5.68mm x 17.72mm / 0.224in. x 0.698in. 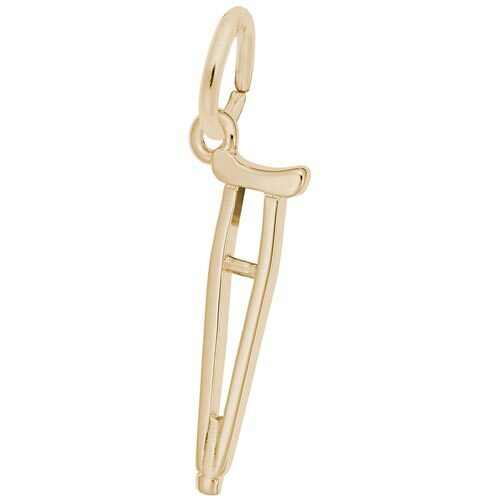 Crutch Charm by Rembrandt Charms. The height is 3/4 of an inch. The Crutch Charm can act as a reminder to be careful if you had a silly accident. Add this medical piece to your charm collection.